Thanks for visiting! 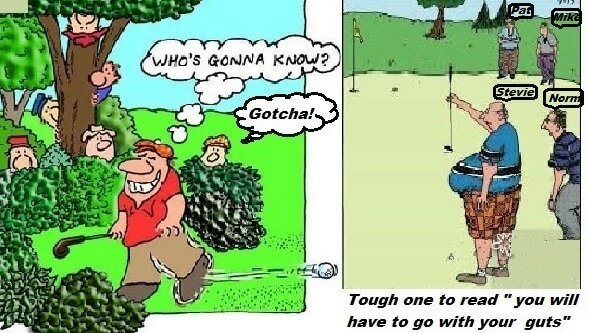 Take a look at the pic above, laugh out loud and do not try this at the Golf Course. In this site you will find a mix bag of golf clubs, mostly used some new where specified on the heading of the pictures. I sincerely wish that you find what you are looking for. All clubs listed on this site are authentic, as a golfer over 10 years I do not sell cheap knock off or copy cats. I buy clubs from the US, Ebay, in Canada, Amazon etc. I paid the duties, taxes and shipping and resell in Toronto, the neighboring suburbs or anywhere in Canada. I have done all the hard work to get you these clubs without you paying duties, shipping, brokerage fees etc. 5. No exchange on a purchase. 7. Final sale. No refund. For golfers outside of Toronto I am willing to ship the clubs for you via Canada Post at your cost.